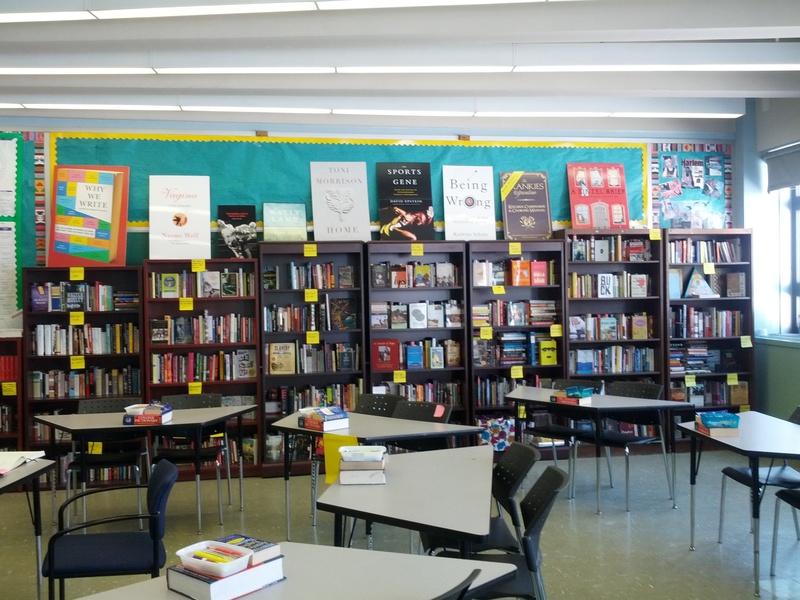 At the very beginning of the year, I relish in choosing the books that I want to expose students to via Book Talks to hook ’em, spark an interest, or at the very least; have them raise an eyebrow. 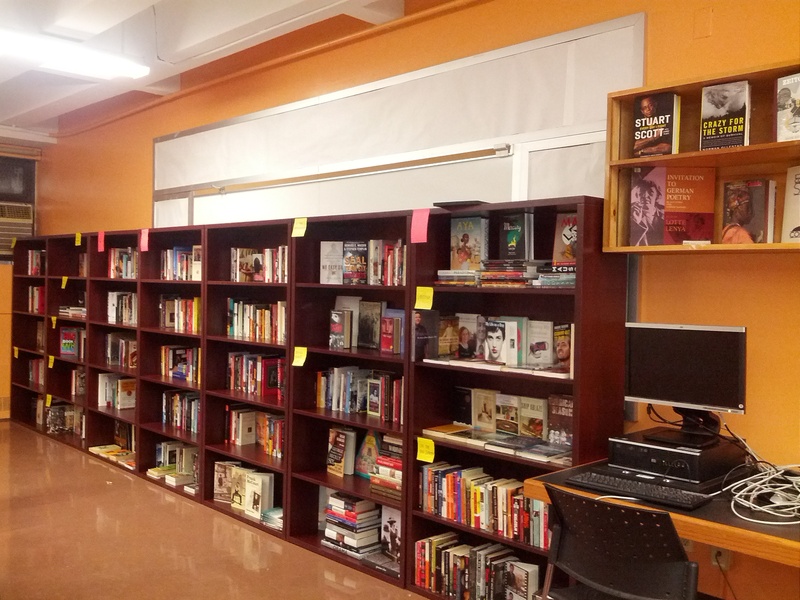 With over 3,000 books on our lending library, it can be a daunting and downright overwhelming process for reluctant readers to choose a book to kick off the year. To start their reading journey. To be brave enough to try something they haven’t before. To simply engage in the process. 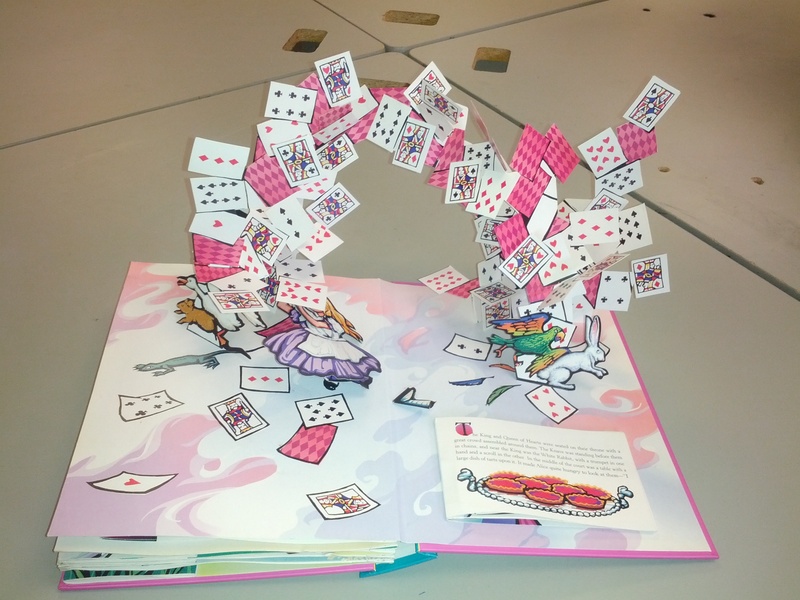 Sometimes a mini-lesson is about exploration; such is the case as students are trying to find their way through the minefields of endless books. While it’s important to educate students on skills and techniques; it’s also just as beneficial to teach them how to authentically explore letting their interest and intrigue guide their process. Objectives – Using the language of the Depth of Knowledge Levels: Students will draw from their own interests and personal experiences to predict the literature that will capture their attention and support their literacy growth. Students will assess their reading fluency and stamina through analyzing their reading rates, commitment to completing books, and data that supports their movement. Lesson: To kick off the introduction to the library, I choose a few pieces to Book Talk – share an excerpt, a few paragraphs, sometimes a page or two…but nothing too long. I keep it short. To keep the energy high and interest levels peaking, I want the process to flow and be completely full with variety. (After all, at the beginning of the year, I am unfamiliar with who many of my students are as readers.) I ask students to jot down titles in their Writer’s Notebooks that have caught their attention as to keep them in mind – now or in the future. 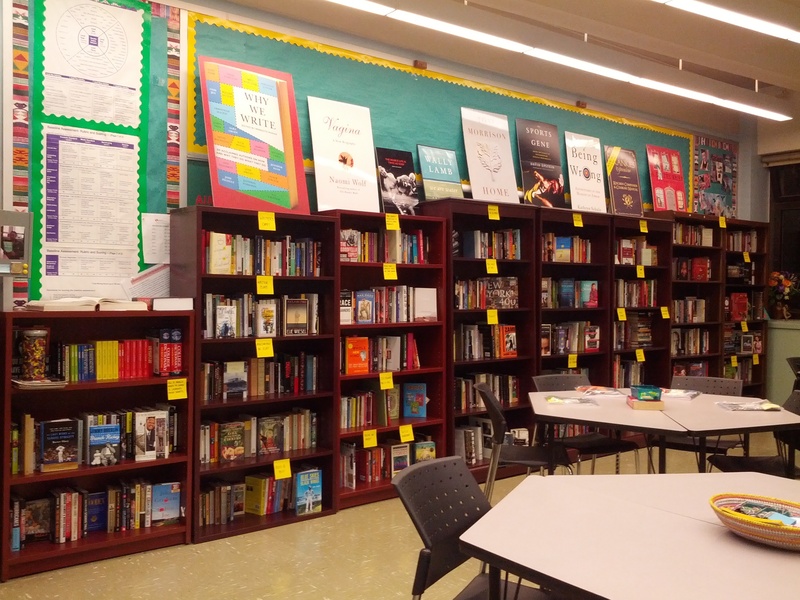 Next, we physically tour the library where I expose students to the themes (not genres) that categorize our books. Fun ones such as: No Sleep Till Brooklyn (compliments of the Beastie Boys – books on our favorite borough), Behind Barbed Wires (Holocaust affiliated literature), A Day in the Life (stories of all kind)… Along the way I show students where I grabbed the books that were Book Talked. This is essential because, if students are interested in a particular piece, this process provides them with a focus. With so many books to choose from, initially narrowing down their interest to a section or two makes the process manageable…and quite enjoyable. 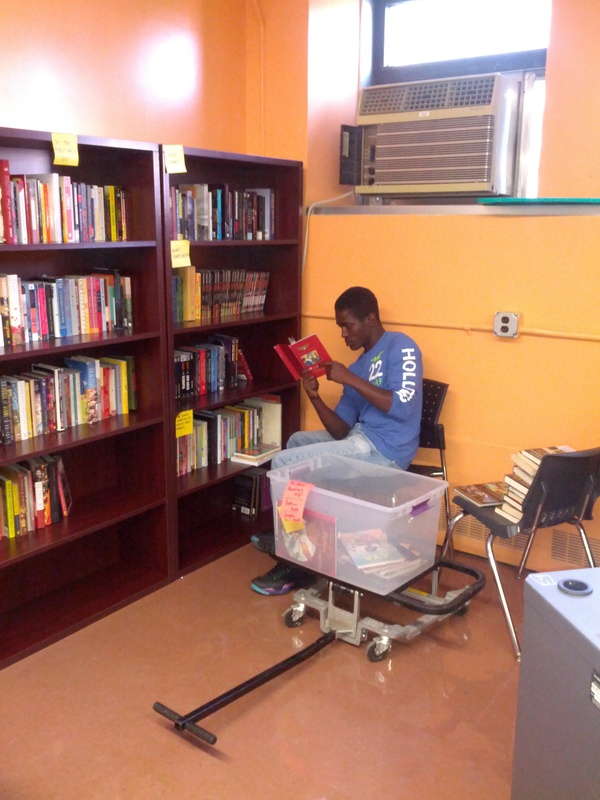 Once we’ve toured our library, students are given time to explore. They choose books that have caught their attention. 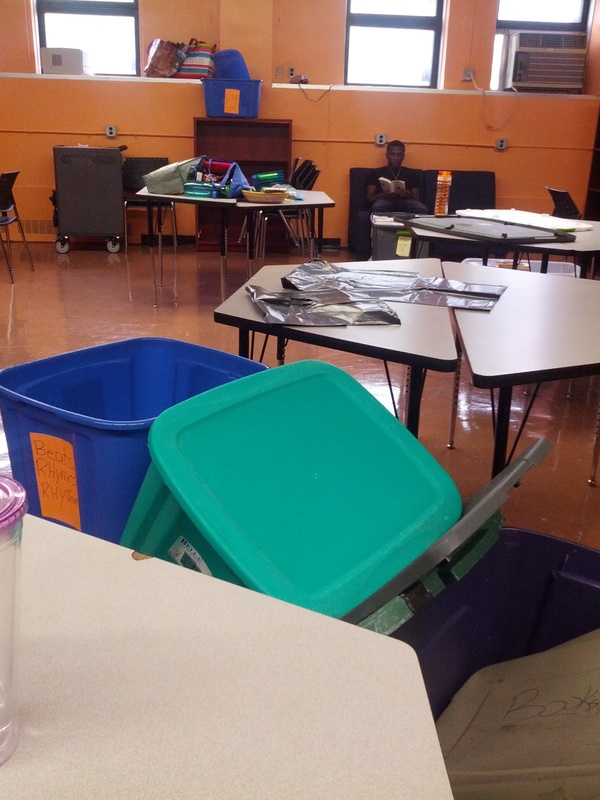 Eventually, stacks of books are taken off the shelves and brought back to our tables. 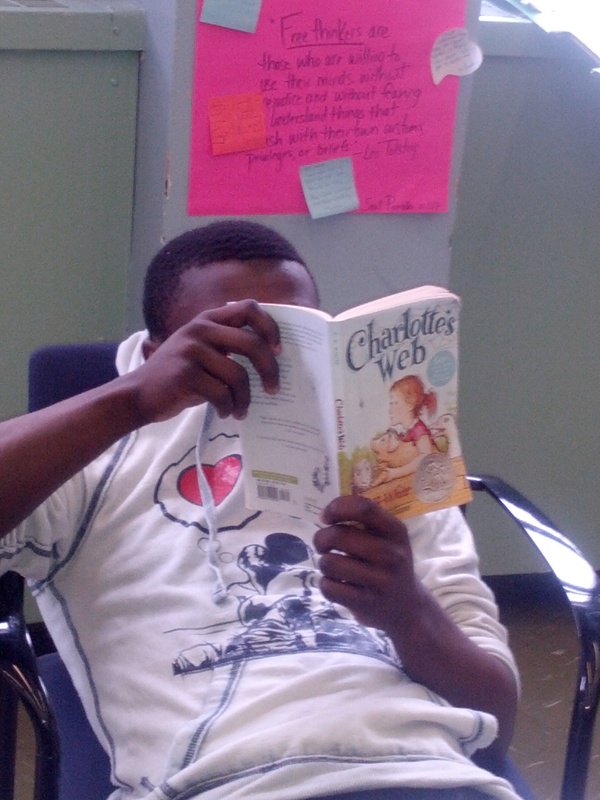 Students are then given an opportunity to interview their books of choice by having time to explore them – covers, flaps, table of contents, page 107; whatever they are drawn to. 1. Jot down the title and author of the book. 2. Study the cover. Jot down some of your thinking… What do you think this piece may be about? What do the colors and visuals represent? Does the cover alone capture your attention? 3. Read the back of the book or the inside flaps. What is this book about? What is intriguing or off-putting about this book? What questions do you have? 4. Open the book to any page of your choosing. Read three consecutive pages. 6. Are you interested in reading this book either now or in the future? Will it be going on your Next-to-Read List? Explain your rationale. In the meantime, I am conferring with students all over the room: the ones at the library scoping things out, students who seem a bit disengaged, those who have chosen a piece at lightening speed, ones already interacting with The Book Interview and everyone in between. There becomes a buzz in the room which signifies the learning process has begun! Before class rounds an end, I ask students to bring at least one book home with them and read for 45 minutes. This is a process. 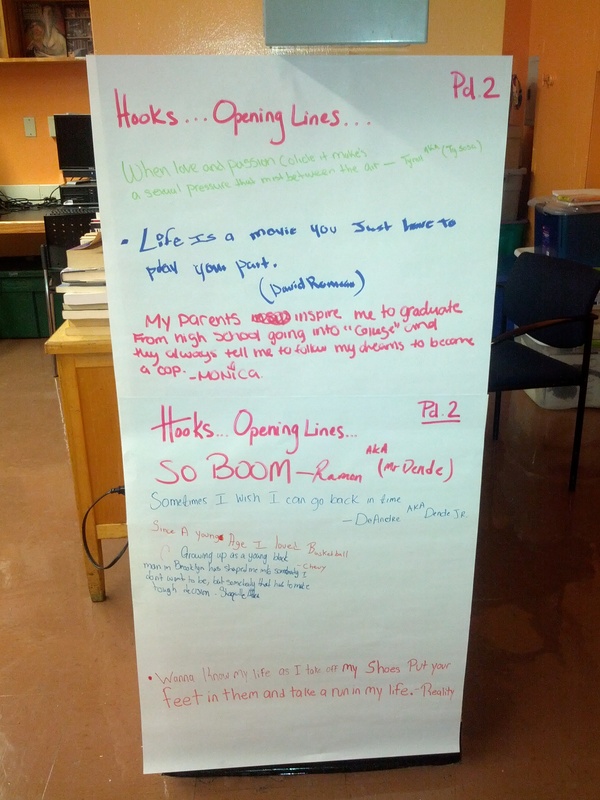 Some students are psyched about their choosings and others are disappointed that they didn’t find ‘the one’. We talk it through. It’s imperative for each student to leave with literature, yet we also leave with an understanding that if it does not feel like a right fit after they’ve had time outside of class to ‘play with it’, then we go back to the drawing board again tomorrow – knowing just a bit more about why it wasn’t the one. And the cycle of collecting data on students’ interests and needs commences. Follow-Up: As the year progresses and students and I learn collectively what they enjoy reading (and what they are willing to be challenged by), Book Talks become more tailored to student interest. Sometimes they are done with specific students in mind, other times they are presented based on big ideas/themes (love, injustice, the power to overcome, etc.). 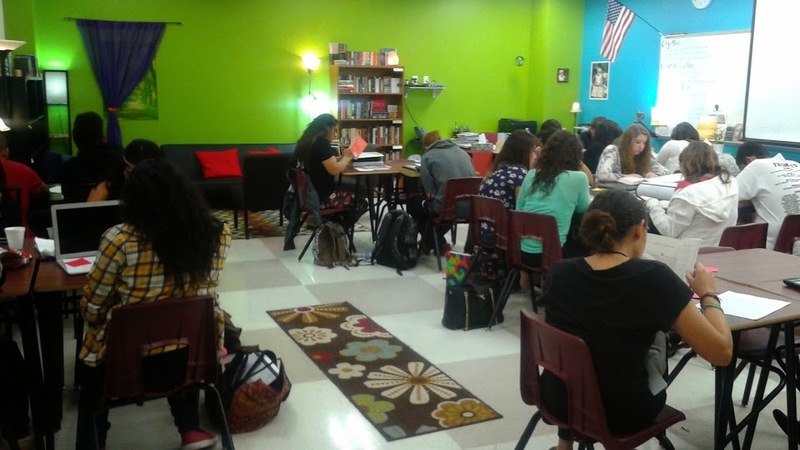 The beauty of this process is that although Book Talks remain a constant all year, students do not bore of them; every day they are different. And, students become more in-tune with what they enjoy, are curious about, want to challenge themselves with, etc. Typically by mid-year, students are no longer needing to use the The Book Interview because, by that point, it has become an innate part of their process. 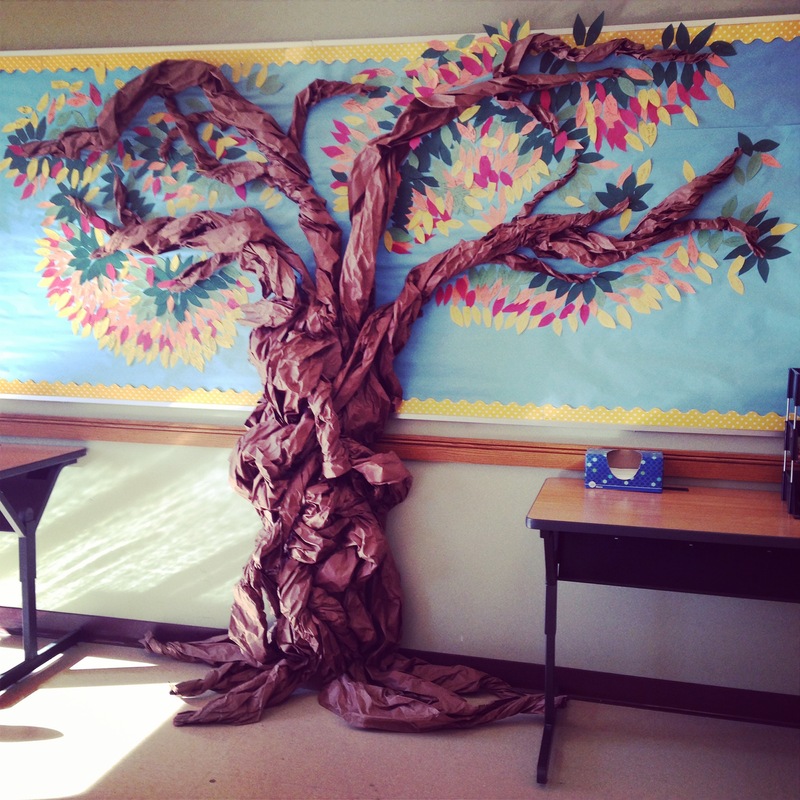 What initial strategies do you instill in your classroom to make the rest of the year’s learning fruitful? As I mentioned in Contagious Creative Concentration: A Week in Reflection on Tuesday, there is so much to gain when we infuse creative outlets and ample time for students to stretch their minds during the learning process. Amy’s posted comment, “I imagine I am guilty like many others of thinking: “If I only had the time.” Seems time is the enemy of creativity, or at least it is if we let her rule our lives. Thank you for this reminder about inviting creativity into the classroom. Coloring on the edges. I like that,” relates the learnings from the week at UNH’s Literacy Institute to the significance of infusing the Readers Writers Workshop model into our learning communities. Jackie’s post from yesterday 3 Ways to Jump-Start Reluctant Writers also provides three concrete ways to joggle ideas for our student learners. And to conclude our weeklong focus on the Writer’s Notebook, tomorrow Shana will be discussing more ideas on how to make them a (creative) staple in all of our classrooms. 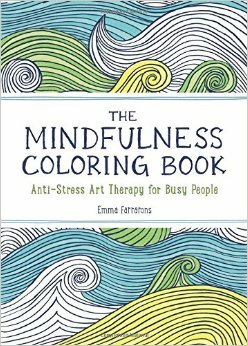 The Mindfulness Coloring Book is a coloring book that provides page after page of innovative visuals to be colored however the user so wishes. While doing so, one’s stress decreases and focus increases. Here’s a peek at how I utilized it while taking a graduate course this summer – in an attempt to balance the workload with an element of zen. 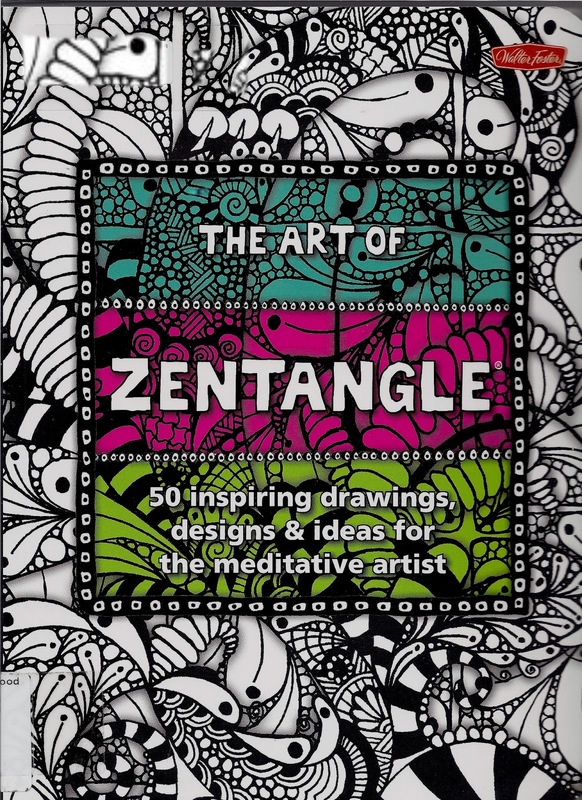 The Art of Zentangle explores the artistry and creativity for those looking for a bit of a challenge – as so many of our students are, yet it is incredibly accessible for doodlers of all levels. 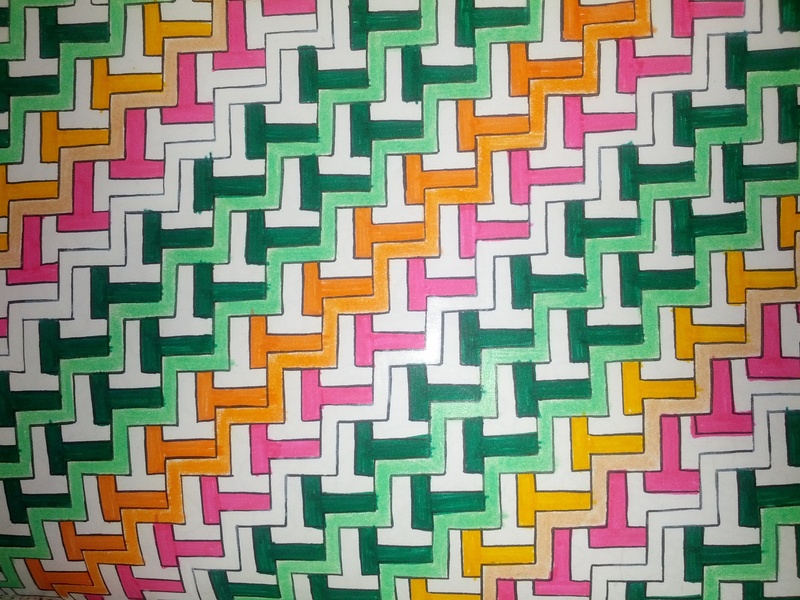 There are a plethora of tutorials on youtube.com for you to start your hand at zentangling while also sharing the process with students. 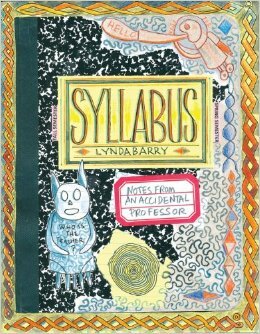 I hope these resources have inspired you to think about lessening stress levels; providing students an outlet that ultimately drives their focus and concentration; and how to organically and authentically let students explore their inner-most thinking through the art of creating. And, if you happen to find (or already know of) resources that students are thoroughly enjoying, please leave the titles and anecdotes in the comment section below. 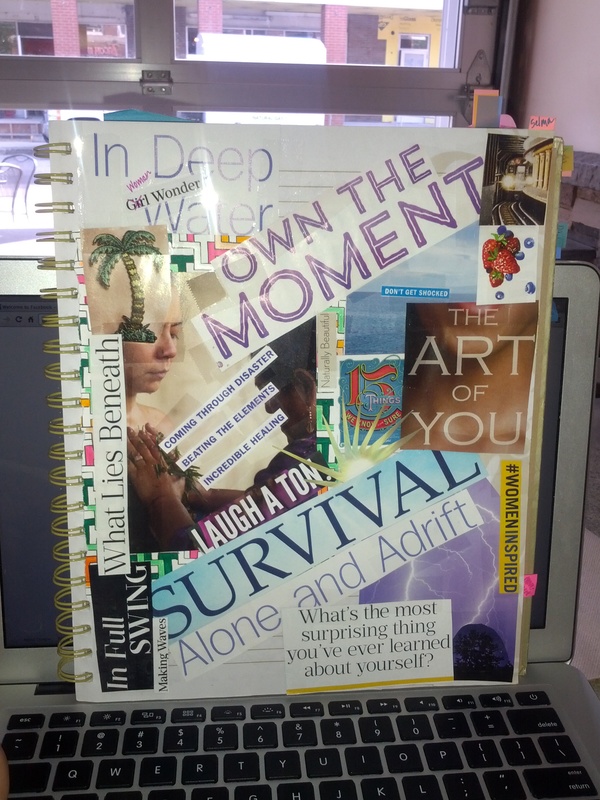 The list of creative resources truly does go on and on! 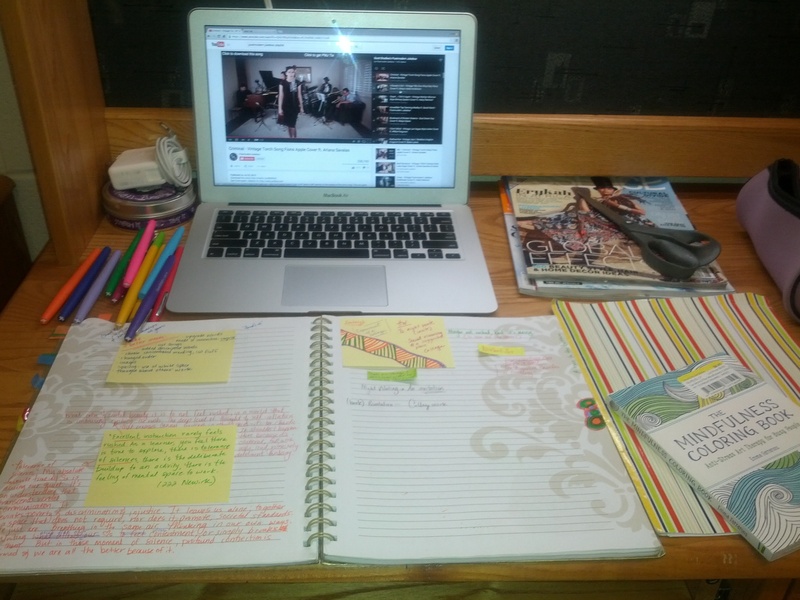 Creative concentration is most definitely contagious! This summer at the University of New Hampshire’s Literacy Institute while Shana, Amy, and Jackie were studying with Tom Newkirk in their plight to dig deep into the lives of males and their literacy (needs), I was across the hall studying with Penny Kittle (and other fabulous educators nationwide) in a course titled Contagious Creative Concentration. The Art of Zendangles: Unique repetitive patterns infused with creativity and focus. 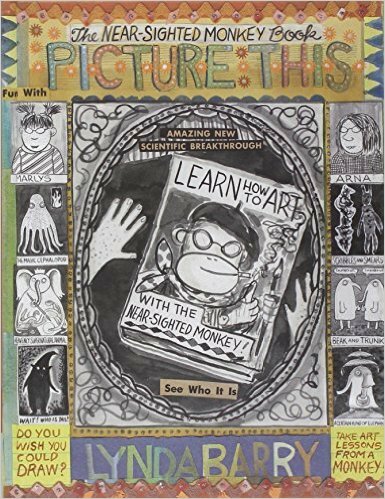 movement, there is also much need for the art of creativity to be infused into the Readers Writers Workshop – regardless of grade level. And while we had the opportunity to “play” alongside the rigorous workload we were collectively engaging in, there was a calm that permeated throughout the entire week. There was color. There was focus. There was deep level of inquiry. Yet, there was rarely a moment that colored pencils or adult coloring books were not being utilized during the process. 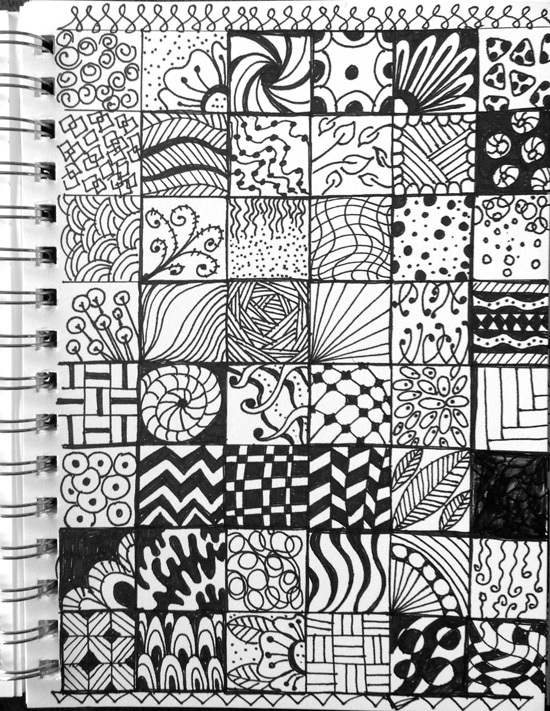 An article published in The Atlantic: The Cognitive Benefits of Doodling explores the benefits that enhance one’s performance. The studies and stats are real – exposing educators everywhere to understand the importance of this type of creative play. 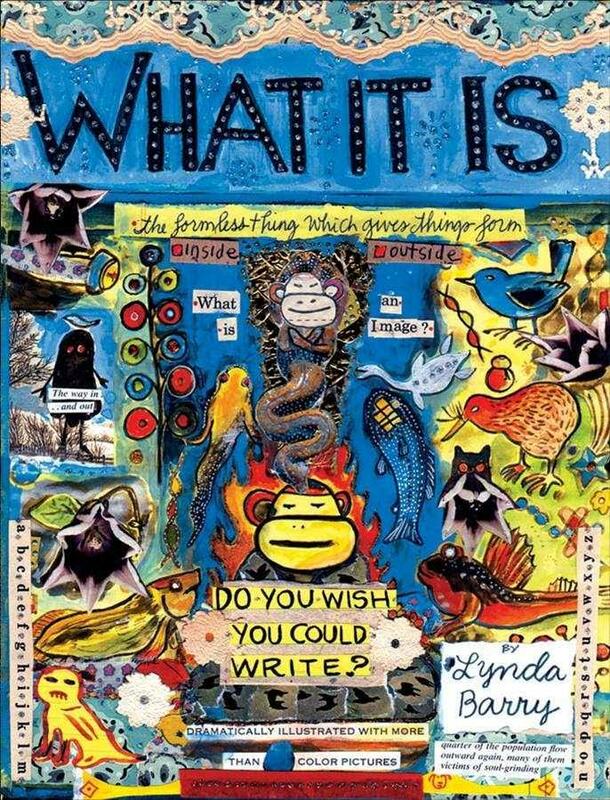 Two women writers who, not only holistically believe in the ideas outlined in the above article, but shared their knowledge and creative process with us during our time at #UNHLIT15 were Lee Ann Spillane @spillarke and Linda Urban @lindaurbanbooks. Both published authors who embrace the creative process as a means (and a journey) to authentically design and originate their work. Last March I posted Today We Draw chronicling the day students and I needed a break from the constant push and rigor of our daily work together. At that time, I recognized the importance of breaking for us to explore a creative outlet, yet what I’ve learned this summer is that it is downright unfair to carve out days for creativity and exploration. It needs to be a daily constant in all of our classrooms. Students need to have the freedom to doodle on the corners of pages, zendangle on a post-it, or engage in some good old fashion fun equipped with a coloring book. So, as I start to plan for the upcoming school year, I find it imperative to ensure that pencils (of all colors) are sharpened, coloring books are displayed, and doodling is not only encouraged but a constant in our community. What are your thoughts wrapped around the idea of creativity (in all its forms) being invited into your classroom community? What success have you had in doing so? As we round out the 2014-2015 academic school year, I would like share our Year-In-Review from us here at TTT and dedicate it to all of our loyal and contributing teacher friends who share in our experiences throughout the year. Playing with the Reading Writing Workshop model is always exhilarating and fresh and exciting and freeing and thought-provoking. It’s always propelling us, as educators, to break through barriers and teach with our most authentic teaching souls. 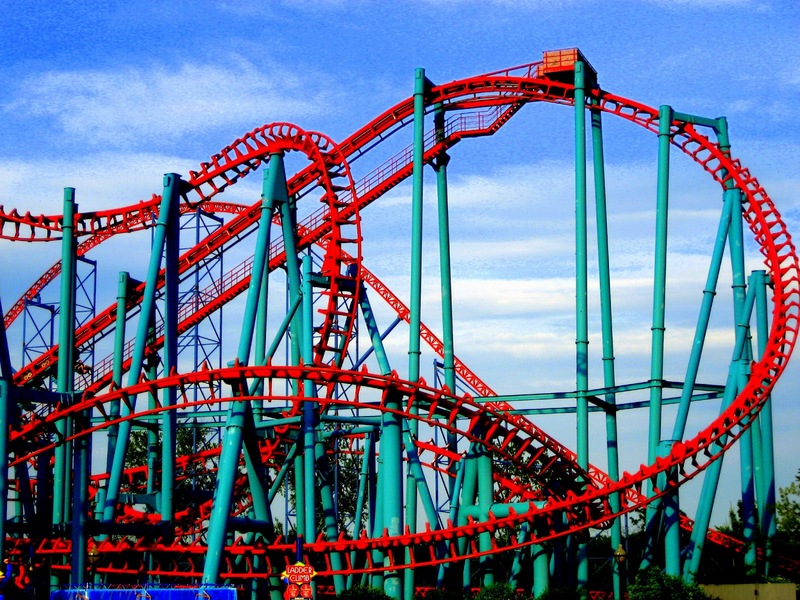 So, to capture the essence of how we have all explored the model this school year; here are highlights that allow us to celebrate the risks, the questions, the stumbles, the ‘ah-ha’s, the setbacks, and of course…the successes. As we are all still progressing through this last month of our current school year, we hope that resurfacing some of our favorite moments will ignite the fire that keeps us all educating with fierce passion, deep inquiry, and continual evolution. The calm zen of the RWW in TX. A reminder of student movement and achievement in NH. 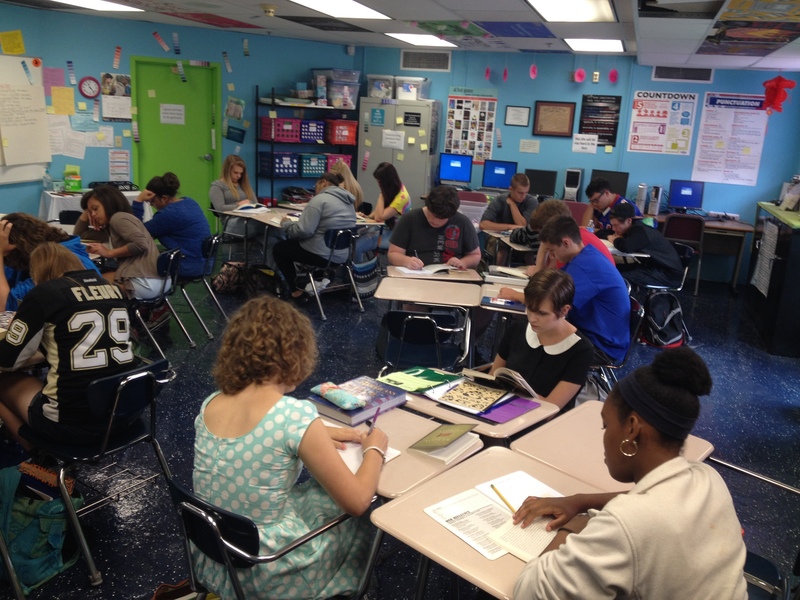 A bright and energetic learning environment in WV. The shelves where our identities are qualified, our ideas solidified, and our passions realized in NY. We hope that our moment of reflection and celebration continues to provide you ideas and inspiration throughout the remaining time you have with your unique readers and writers this year. We’d love to continue hearing your voices, feedback, and generous insight while we round out this school year…and look forward to the year ahead!